The firm principal, Craig Zafis, has over 30 years experience and is a former partner in a 40 attorney multistate law firm. He is licensed in California, Texas and Indiana and several United States District Courts around the country. 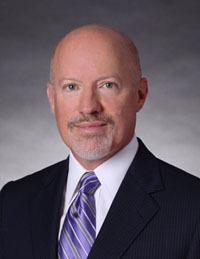 He has successfully prosecuted securities class actions and acted as outside counsel to both the Federal Deposit Insurance Corporation and the Resolution Trust Association. He has argued before the Ninth Circuit Court of Appeals, the Bankruptcy Appellate Panel and the Fourth District Court of Appeals and has appeared in federal courts in California, Texas, Nevada, Colorado and New Jersey. In the area of securities, Mr. Zafis has represented investors as well as broker-dealers and registered representatives before the National Association of Securities Dealers, the Financial Industry Regulatory Authority, the New York Stock Exchange, the Pacific Stock Exchange and the National Futures Association. He has advised registered representatives, independent advisers and firms in regulatory inquiries concerning subjects including outside business activities selling away, the sale of equity indexed annuities to seniors, suitability, unauthorized trading and discretionary trading, fraud detection and prevention at the Firm level, failure to disclose referral fees, the alleged alteration of customer documents, questions about required disclosures by registered representatives and the timing of those disclosures and disputes concerning U-4 amendments and U-5 terminations. The firm brings a thoughtful, creative, detail oriented and common sense approach to every matter. There is no charge for the initial consultation. The office of R. Craig Zafis, APC is located in San Diego, California and provides experienced legal representation for a reasonable fee to individuals and businesses of all size, including financial advisers from large and small broker-dealers and financial advisory firms. A sample of satisfied and representative clients have provided testimonials for Craig Zafis, here. The firm principal, Craig Zafis, has over 30 years experience and is a former partner in a 40 attorney multistate law firm. He is licensed in California, Texas and Indiana and several United States District Courts around the country. The information provided on this website is not, nor is it intended to be, legal advice. You should consult an attorney for advice regarding your individual situation. Contacting us does not create an attorney-client relationship. Please do not send any confidential information to us until such time as an attorney-client relationship has been established. © 2019 Zafis Law. All Rights Reserved.